Manipur, a state in India bordering Burma, is part of the "Seven Sisters" -- seven contiguous states in Northeastern India, known for their rich ethnic diversity, bountiful natural resources, as well as political conflict and turmoil. For over 50 years now, Manipur has been bound by the controversial Armed Forces Special Powers Act, which grants extraordinary powers to the Indian armed forces to suppress separatist insurgencies in the region. This act has been fiercely criticized by human rights groups for its abuse by the Indian Army through arbitrary killings, torture, enforced disappearances and violence perpetrated against women. Northeastern states, like Manipur, are also ecologically fragile lands, and are part of the Eastern Himalayan tracts that are considered a major biodiversity hotspot. In recent times, big dams, mining and oil exploration activities and rapid forest degradation have deeply concerned environmental advocates, especially as the impacts of climate change are worsening economic and food security in the region. Women play a crucial role in all socio-economic aspects Manipur and are key food producers. Earlier this year, I traveled to Manipur to learn about the emerging priorities and strategies of women's groups to promote sustainable development and livelihoods in the midst of political tensions, militarism and ecological vulnerabilities. Our grantee partners in Manipur, Rural Women Upliftment Society (RWUS) and Weaker Sections Development Council, (WSDC) are using holistic multi-pronged approaches to promote food security, advocate for peace and security, and raise awareness on climate change among vulnerable Indigenous hill tribes. Shangnaidar Shangdar, leader of WSDC, is passionate about highlighting the role of women in Manipur to forge long-term movements to bring peace and security in the region. Historically women in Manipur have also led brave social movements, including fighting British imperialism. Known as Nupi lan, or women’s war, women in Manipur led a successful brave agitation in 1939 protesting exploitative British free trade laws that precipitously raised the price of rice by increasing exports, and adversely affected local communities and small traders through food shortages. Sadly, these crucial resistances by Manipuri women are largely invisible and unknown in mainstream India's historical chronicles. During my visit, Shangnaidar took me to Ima Keithel, also known as Mother's Market, which is a sprawling market in the capital city of Imphal, where all stalls are run by women. Mother's Market stands out as a proud, unique heritage of Manipur, which speaks powerfully to the crucial role women play in socio-eonomic realms here. WSDC raises awareness among women widowed by gun violence and HIV/AIDS on their rights and entitlements from the state, including widow pension and food security provisions. 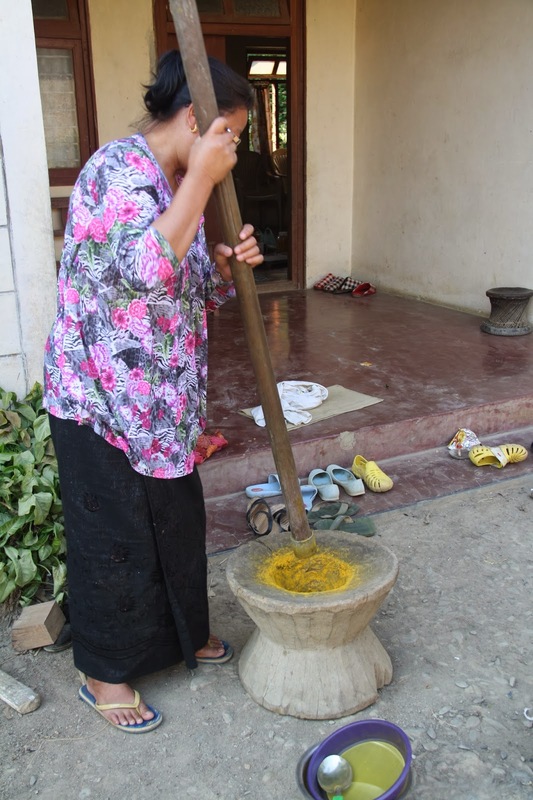 They are also training communities on organic farming practices, raising awareness on the rights of small farmers, and are supplementing women’s income through diversifying their livelihoods by soap making, weaving and artisanal bamboo products. Both of our grantee partners recognize that empowering women, and promoting their political, social and cultural rights, is crucial for peace building and strengthening civil society and ushering sustainable development. WSDC and RWUS also organize trainings and educational activities to promote women’s role in governance and in conflict resolution. Recently RWUS conducted several workshops to raise awareness on climate change among women in the hilly tribal areas of Churachandpur, the largest district of the Manipur. “Being largely an agrarian economy, climate change is affecting the economy of the state over time. Unnoticed by the policy makers, one of the major victims of climate change have been the marginalized women of the society, who have always suffered for being financially weak and also for lacking the power of decision making in the society.” RWUS further notes that climate change is affecting water availability in the region and is making agriculture increasingly harder for small farmers. A small grant from WEA is enabling RWUS to organize women in 15 vulnerable tribal villages affected by climate change. With WEA's support, RWUS is raising awareness on the crucial need to protect Manipur’s forest biodiversity and other natural resources, and the key role women can play in protecting their environment and promoting sustainable livelihoods. “The impact of climate change has already forced many to abandon their existing professions and search for alternatives. Many women particularly youth are forced to move out of home to seek employment elsewhere because agriculture has become unsustainable,” notes the RWUS team. In the near future, RWUS plans to organize workshops for women on dams and mining and how they impact Indigenous livelihoods, culture and way of being, as well as continue their assessment on the impact of climate change on women and promote women’s role as environmental advocates. RWUS shares how one of the participants of the climate change training called Sangpui, a mother of three, began taking personal responsibility to protect the environment. Sangpui went on to plant over 1000 saplings and is slowly recognizing how forest degradation affects her community. “Each time I plant a tree, I realize I am contributing to sustain the livelihood of forest dependents, like me,” she says. Every once in a while you come upon someone who is truly the embodiment of transformation and inspiration. For our Global Women's Water Initiative, Phionah Mbugua is that person. Phionah was one of Life Bloom's clients. When her husband left her 14 years ago with 2 kids, she had to raise her children on her own. And with a 7th grade education, she felt her only alternative was to sell her body. She was invited by Life Bloom to learn how to build a rainwater harvesting system and tank from GWWI Technology Trainer Godliver Businge. Phionah was astounded to meet a woman who not only could build things like tanks and toilets, but who was teaching other women these same skills. Because of Phionah’s talent and interest, Life Bloom’s Executive Director who has been elected as the Board Chair of her local water board, withdrew from the GWWI training program to let Phionah take her place. Phionah has since been hired by Life Bloom as their first WASH program manager and is currently construction WASH technologies, offering WASH education in schools and in the community. And she's getting getting paid to do this work. Support the Global Women's Water Initiative here! The Winnemem then are middle water people, salmon people, and their lands and river hold many sacred sites and traditional medicines central to their cultural and spiritual identity. 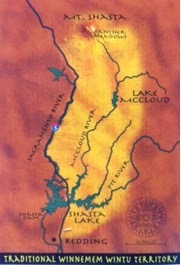 This identity, which has been under attack ever since the settlement of California which brought disease and destruction to Native peoples, has faced yet another threat since World War II: the construction of the Shasta Dam, which flooded Winnemem homesteads, ancestral villages, cemeteries, sacred places, and has blocked salmon runs along the river. The McCloud River was once one of the most fertile breeding ground for Chinook salmon in the West. The salmon’s numbers were so high that in the late 1800’s, fish culturist Livingston Stone established the Baird Hatchery in an effort to breed this salmon and replenish dwindling Atlantic salmon stocks. The Winnemem people opposed the building of the hatchery and took action to defend their river by performing a Hu’p Chonas—a war dance ceremony that tells the water and all Winnemem relations that they are fighting for the well-being of the river. Unfortunately, construction of the Baird Hatchery went forward. When the hatchery began exporting eggs around the world (including all the way to New Zealand), an agreement was made that, while the salmon would be captured for breeding, the Winnemem would ensure that they would always be able to return to their home on the McCloud River. 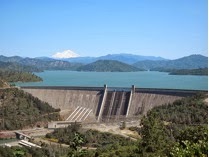 However, this agreement was later broken when the Shasta Dam was built, blocking salmon’s path and submerging their breeding grounds, and eventually causing their near extinction. In recent years, the Winnemem have continued to fight for the salmon and for their way of life as they oppose an additional rise of the Shasta Dam by 18.5 feet. Raising the dam even just a small amount would submerge Winnemem herbal gathering grounds, whatever is left of salmon spawning grounds--threatening any potential for salmon restoration to the McCloud--and would also disturb 39 sites along the river that are sacred to the tribe, such as Puberty Rock where coming of age ceremonies are held for Winnemem girls, and the site of a massacre of the Winnemem by settlers in 1850’s. The Bureau of Reclamation (BOR) is responsible for any decisions to raise the Shasta Dam, and also for selecting the plan to restore the McCloud’s native ecosystem by returning the salmon to the Central Valley. Though the Winnemem have been asked to submit their own plan to return the salmon to their indigenous territory, they have been given no voice in the decision-making process. Stand alongside the Winnemem Wintu Tribe and support their indigenous right to be part of the salmon decision by calling or e-mailing Sue Fry, BOR Project Manager, at sfry@usbr.gov or (916) 414-2400. Demand that the BOR bring the Winnemem to the table as a consenting voice to any Salmon Restoration Plan, and recognize their right to be leaders and critical decision-makers in the process. We encourage all of friends and allies to also email or call the Bureau’s Commissioner Michael Connor at comments@usbr.gov or (202) 513-0501, and urge him not to submit the Shasta Dam raise proposal for a vote to Congress and instead support Winnemem cultural survival. More information on how to stand in solidarity with the Winnemem can be found here.